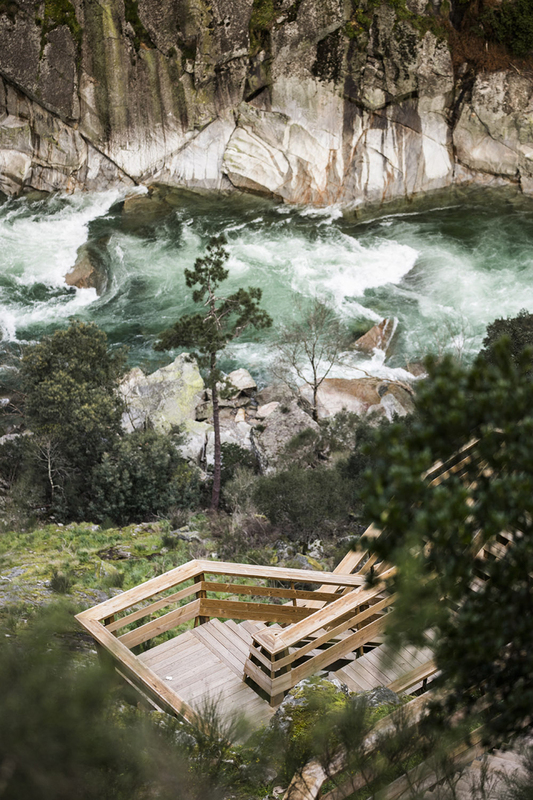 nelson garrido is a portuguese architectural photographer, who works globally. 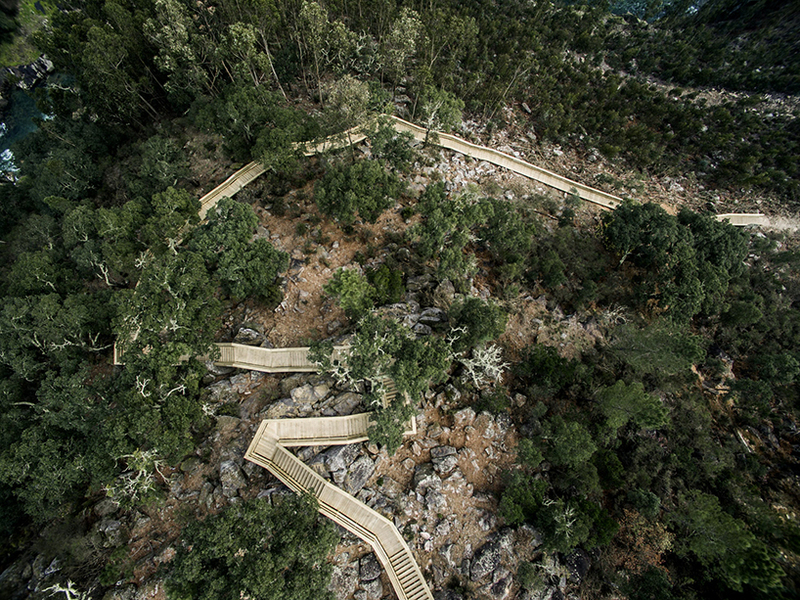 based in porto, garrido also contributed to the 2016 venice architecture biennale with a series of images that document the architectural effects of portugal's financial crisis. 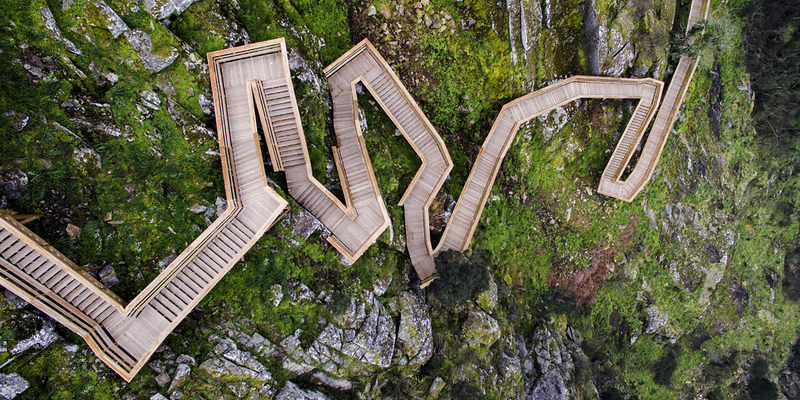 along the bank of the paiva river in arouca, portugal, an incredible eight kilometer route stretches across the sprawling natural terrain. 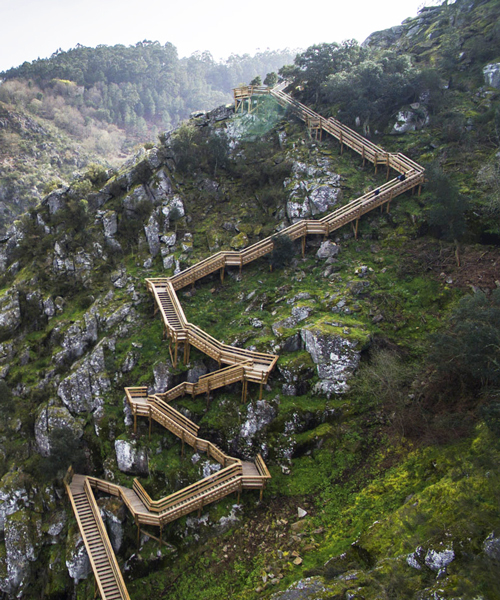 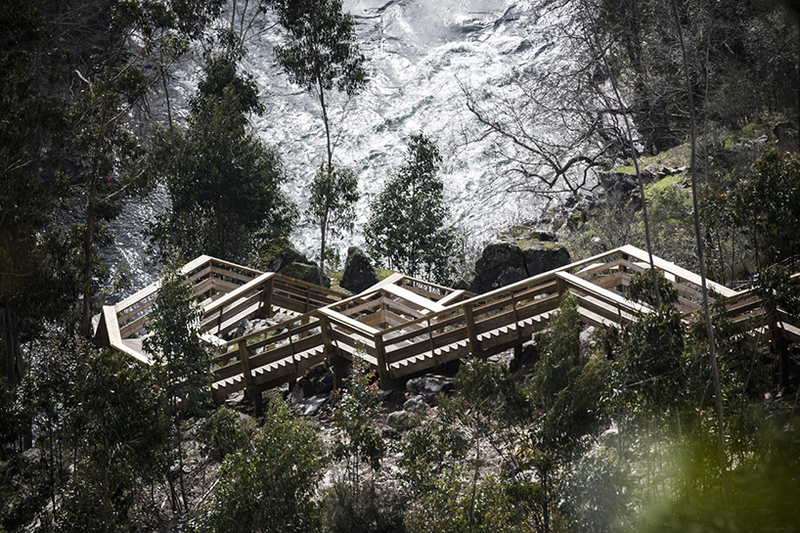 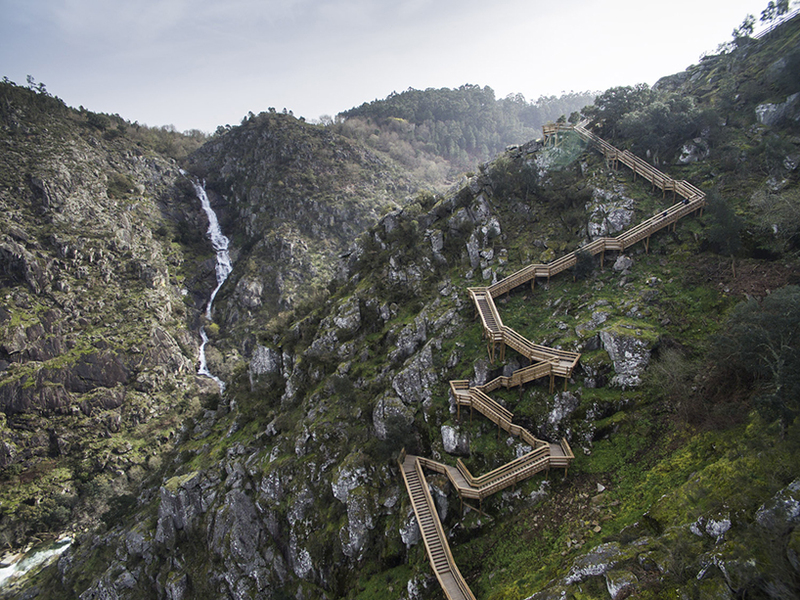 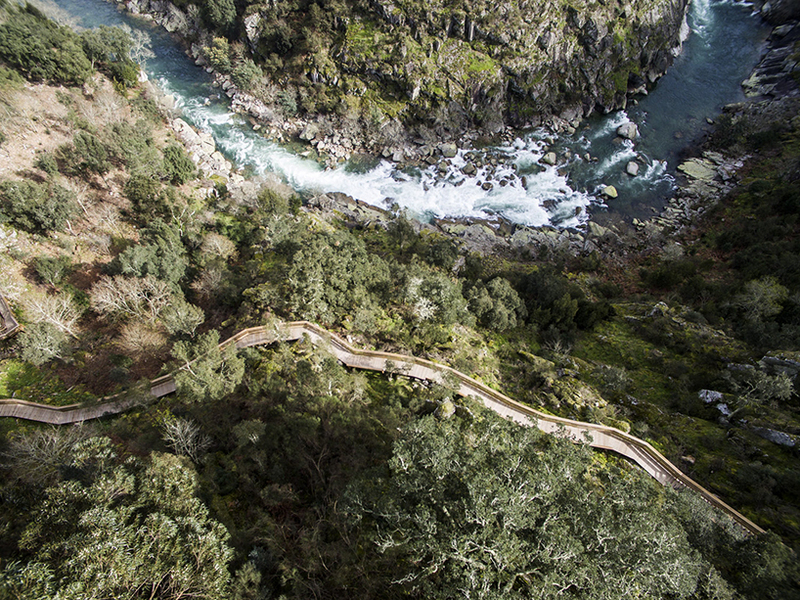 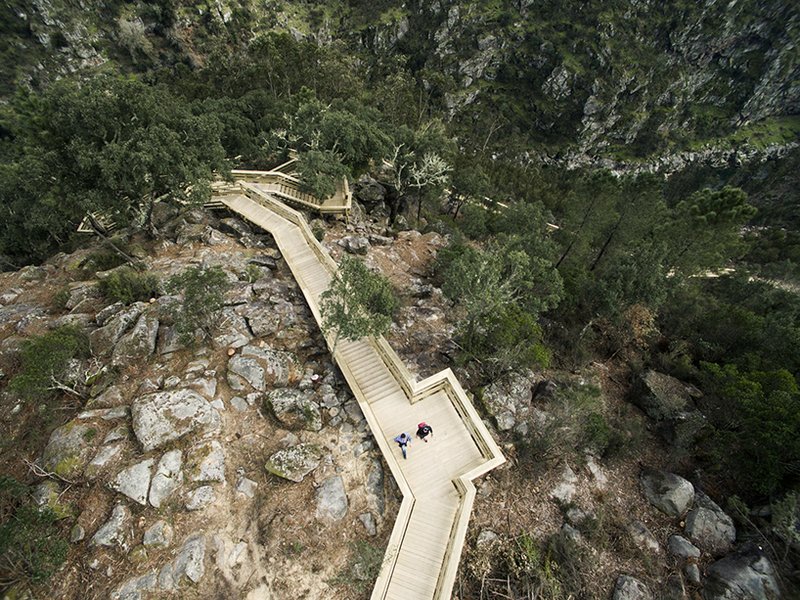 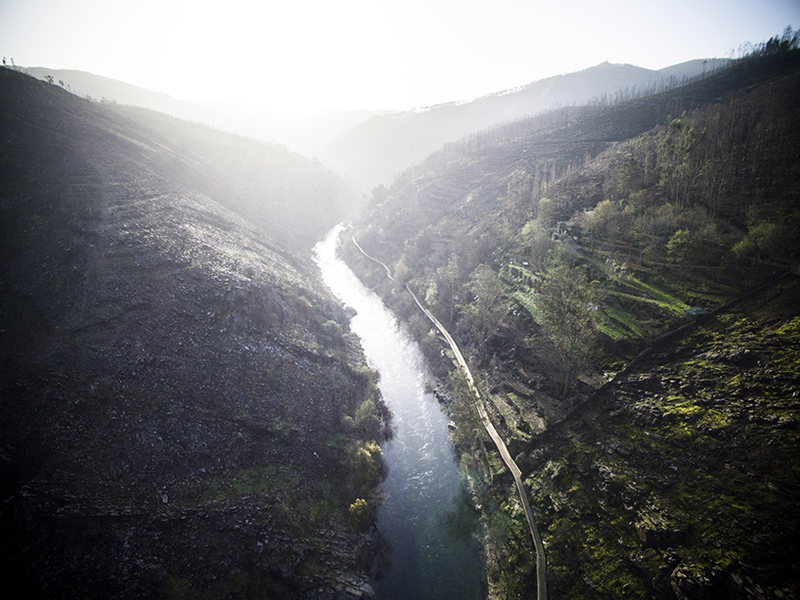 the ‘paiva walkways‘, completed by arouca municipality and engineering company trimetrica, weaves through the area’s dramatic landscape, offering sweeping views of waterfalls, quartz crystal deposits, exotic fauna and flora, and the river below. 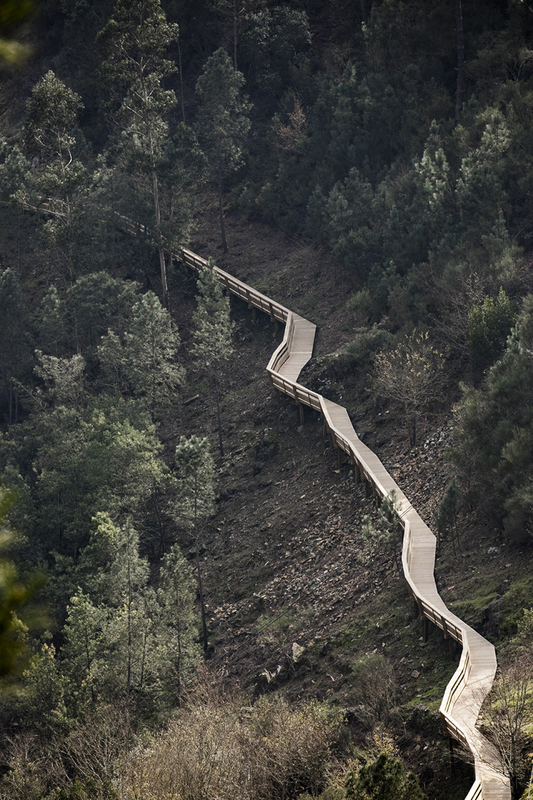 intended as more than merely a simple walk in nature, this unique experience is an infrastructure that interferes as little as possible with the surrounding environment. 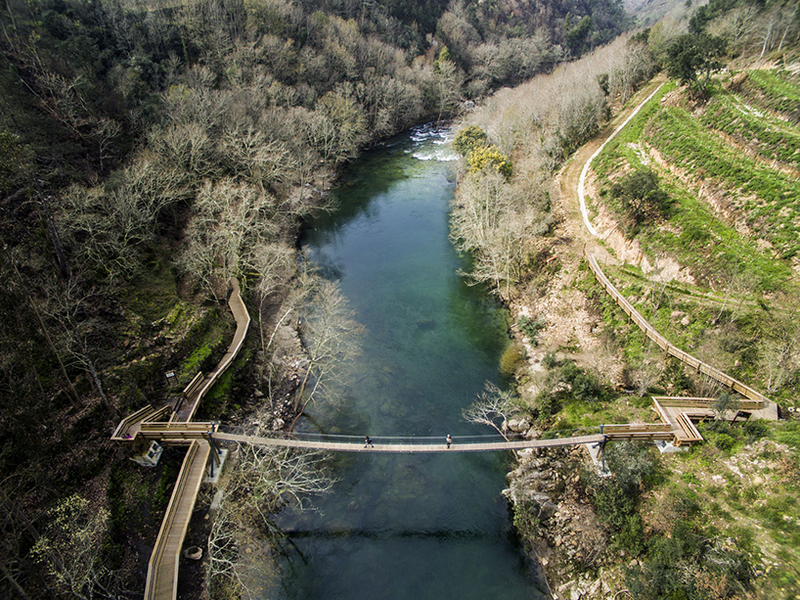 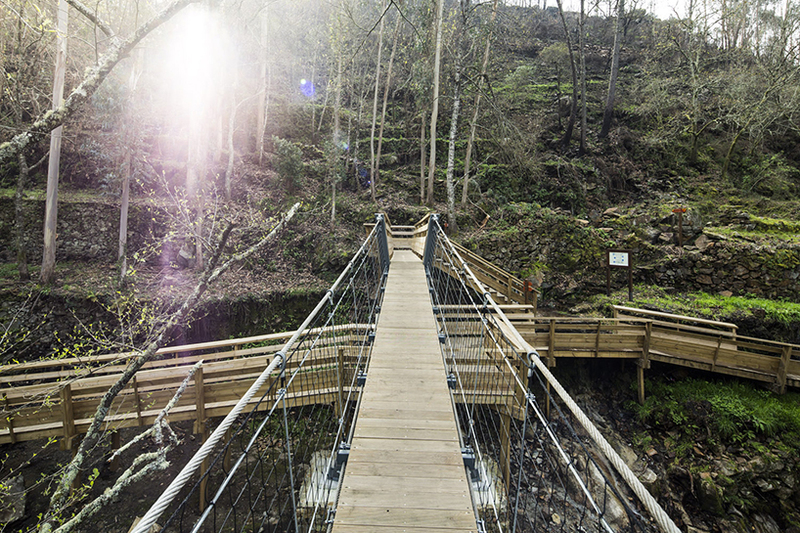 features include a winding staircase that leads to the top of a huge hill, providing a 360° perspective of the terrain; and an extremely narrow wooden bridge that spans across the river surrounded by soaring cliffs and abundant natural vegetation. 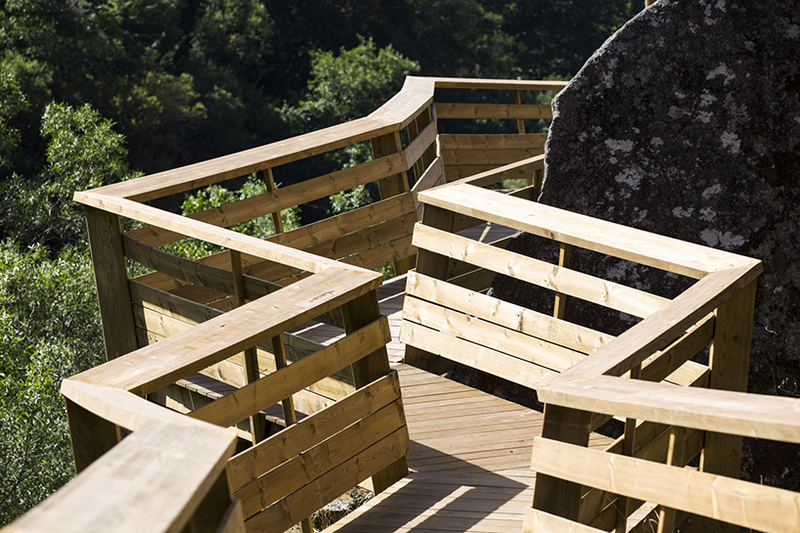 the walkway continues along the topography, with rest stops and strategic panoramic points positioned to admire the view. 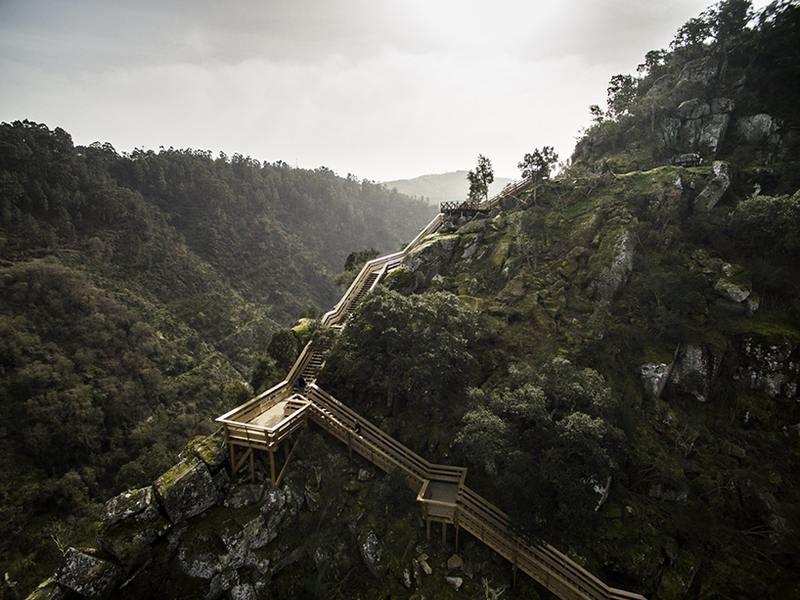 to capture the route’s dizzying directions and arresting views, photographer nelson garrido has shared a photo essay documenting the different parts of the path and its relationship to the stunning landscape. 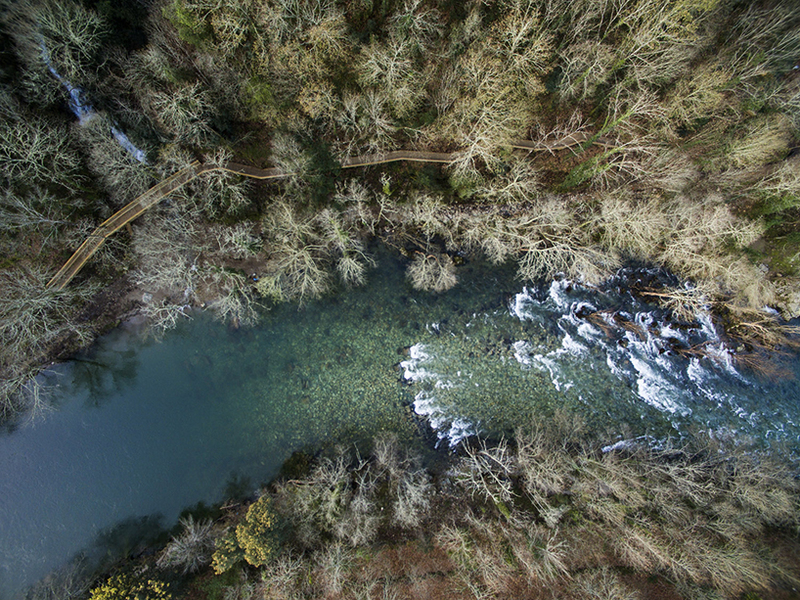 see the birds-eye-view photos, below. 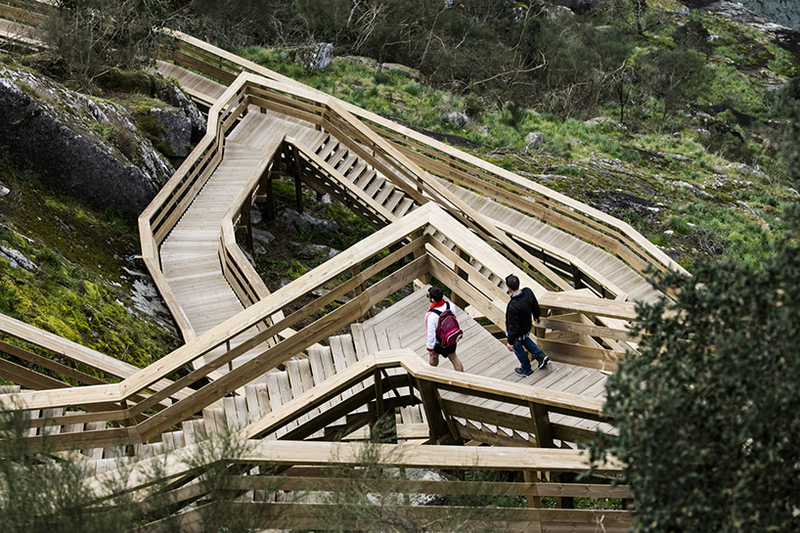 extraordinary…and nicely detailed….let us hope the wood structure survives the rigors of exposure..